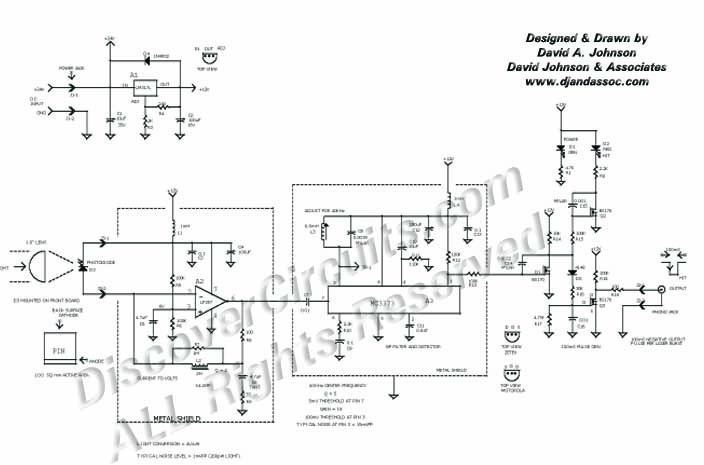 Circuit: 40KHz LASER BURST DETECTOR__ Circuit designed by David A. Johnson, P.E. This circuit was originally designed to detect weak flashed of laser light bounced off of a fabric video projection screen. It was used as part of a firearm training system. It generates a 100mS output pulse whenever it detects a 3ms to 5ms laser burst, modulated at 40KHz. It is very sensitive and could be modified for long range laser communications.